Can You Identify This Grenaded Engine? An anonymous Japanese tipster sent in these photos of what happens when amateur tuning goes horribly, terribly wrong. Can you identify the engine from the trail of parts in the photo above? One more photo below. 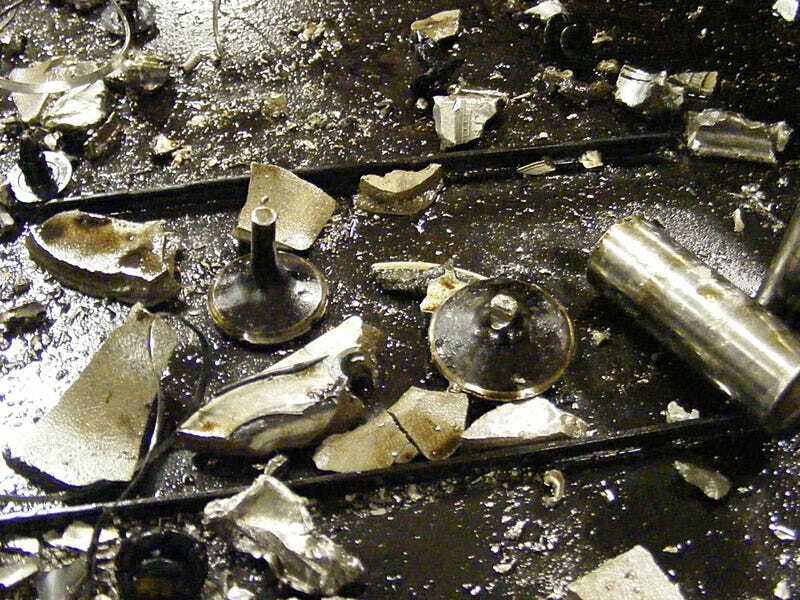 According to the source, some genius decided to disengage this engine's factory knock-sensing capability and then punch boost through the ceiling. The rod-toss window can be seen below. What is this pile of nastiness? We've got a guess or two, but we'll let you go first.